Beautiful matte finish shiny rugged rock art pendant with three figures. 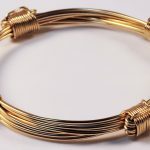 In 14KY/20 gold fill – which is thousands of times better than gold plating but without the cost of solid gold. Tests as 14KY gold except for the weight. 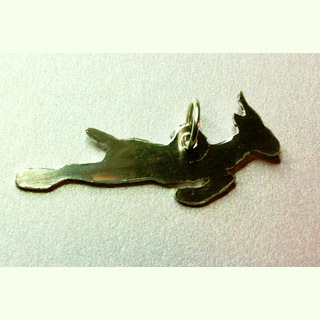 Figures are cut right through so this pendant will look different on different backgrounds. Fold over bale may be bent open to hook pendant on existing chains or cords that will not thread through. Click top picture for even larger view. 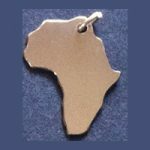 Do you see the African hut shape, or does it look more like a hat or tear drop or rounded triangle? 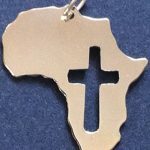 Never mind, one of the unique shapes out of Africa. Part of our Rock Art collection. 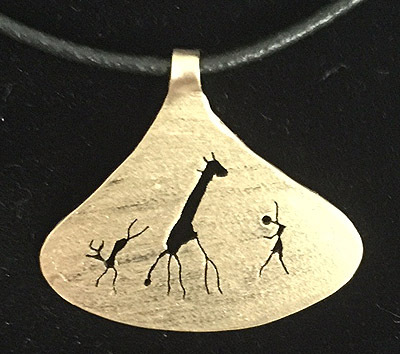 An interesting shaped rugged pendant with three rock art figures. Dramatic for men or women. All items hand made so each is a unique one of a kind original but will be very similar to photograph shown here. Cord not included.